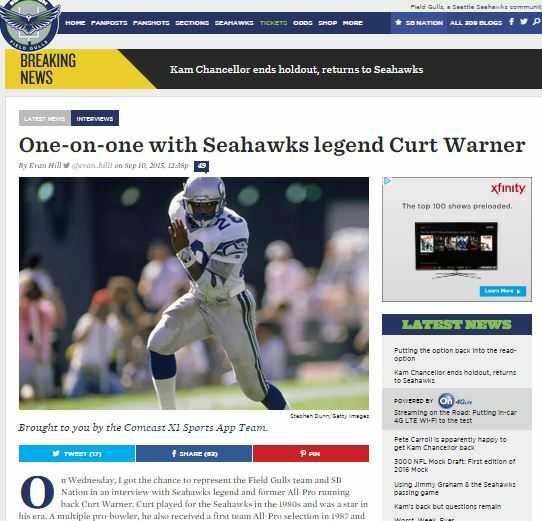 Curt Warner was a star of Seattle social media during the X1 Sports App Tour stop here. This is a Tweet by a Seattle Times photographer. 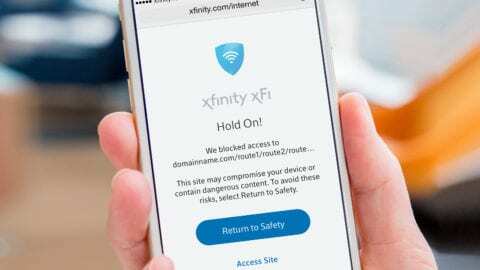 Seahawks legend Curt Warner recently appeared in Seattle to talk to media about the Xfinity Sports App for X1. It turns out he’s a fan of X1 for many reasons. 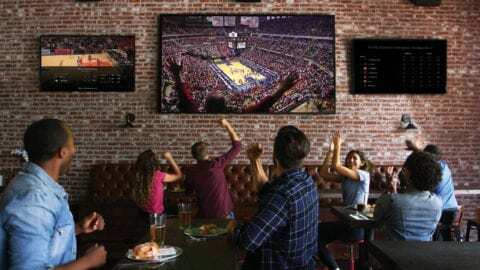 We found out Curt’s wife is a huge fan of NCIS, and so X1 allows him to follow sports while she’s watching her show. This led to a running joke throughout interviews, where Curt would insist that the app saves marriages. It was a pretty fun day. Bloggers and others all wanted to know what this running back legend thought about Marshawn Lynch and others on the team. But many of them were also honestly impressed with the features of the X1 app. For football fans, the app provides tons of data and real-time stats and visualizations: pre-game player and team comparisons, injury reports, fantasy stats and leaders, win/loss probabilities and full post-game analysis including drive chart summary. Curt also talked about the sports app to KRJ and to KING TV as well as to local Seahawks bloggers. One of the funnier themes to come up was Curt’s suggestion that X1 find a way to change the outcome of last year’s Super Bowl. Believe me, we’re on board with that idea, though implementation could be aways off. Click on the screenshots below to read the fun conversations with Curt Warner.